ST. GEORGE – While walking and cycling have long been seen as sources of recreation and a healthy lifestyle, a plan adopted by city officials Thursday seeks to promote those activities as a general means of transportation as well. 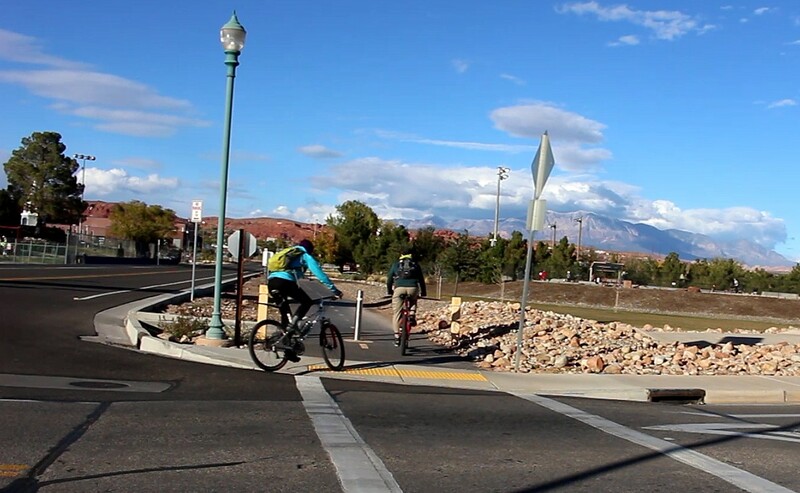 During the first St. George City Council meeting of the new year, council members unanimously adopted the city’s active transportation plan. The plan contains recommendations for coordinating and planning active transportation-friendly infrastructure needs, as well as ways to promote the public’s interest in active transportation and potential funding sources. Southwest Utah has become known as a mecca for recreational outdoor activity. St. George was the first community in Utah to build a paved trail in the early 1990s that has since grown into a citywide system. The city also took a more direct role in promoting active transportation in late 2014 with the creation of the St. George Active Transportation Committee. While walking and cycling for recreation is definitely encouraged, Mortensen said the plan the council adopted Thursday will promote them as alternative modes of transportation as well. Around 40 percent of the city’s population is either under 16 years old or over 70, according to data Mortensen shared with the council. Facets of the plan focus on these individuals who are either unable or less likely to drive. However, approximately 40 percent of all trips within St. George are under 2 miles. Currently 155 miles of paved and unpaved trails, as well as bike lanes and shared vehicle/bike roadways, exist in St. George. The newly adopted active transportation plan recommends increasing that to 344.5 miles. Infrastructure, programs and other elements recommended by the plan aren’t meant to be implemented immediately, Mortensen said, but put in place over the next few years to decades. “It’s not something we can do overnight,” he said. An overall goal of the plan is to provide interconnectivity between the city’s trail system, streets and transit system in such a way that makes it easier for pedestrians and cyclists to get from one place to another. It also provides residents with a few more options in how they choose to travel. They can choose to walk, ride a bike, take their car or take the bus. Other parts of the plan promote programs of education and safety and also identify potential sources of funding, such as the RAP tax and grants. Aside from creating a highly interconnected transportation system, Mortensen said the plan will yield other benefits. The plan will make the city appealing to Millennials, he said, who are embracing active transportation, as well as tech companies looking to set up in St. George. It also benefits the city from a tourism standpoint and helps promote an active and healthy lifestyle in the community. “I think this type of looking forward … this is a golden opportunity for the city to continue to develop,” Councilman Ed Baca said. The creation of the active transportation plan was approved by the City Council in November 2015 and was developed by the city’s Active Transportation Committee, Parks Planning Division and Public Works Department. Alta Planning and Design, a consulting firm specializing in active transportation planning, was also involved. Public input also helped shape the plan, Mortensen said. People were able to share their thoughts during the 2016 Dixie Transportation Expo and through an online survey that garnered 600 respondents. 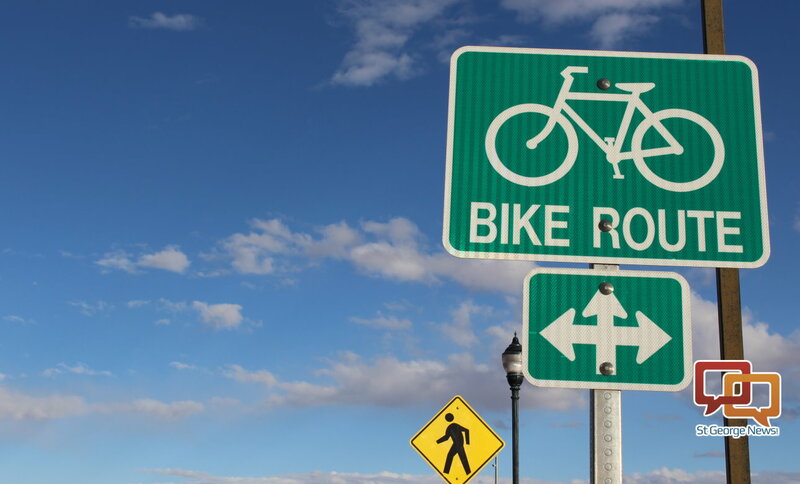 With the adoption of the plan, Mortensen said, the next goal down the road will be getting neighboring communities to create their own active transportation plans. If this happens, the system created in St. George doesn’t come to an end at the city limits but rather extends countywide. Yeah, I can haul 6 sheets of plywood on my E-Bike 2000, and tow a trailer of two UTVs and and ATV with the same electrical thing. Winter snow and ice, no problem. See many Spandex warriors today?